As the author of this site, I would like to say that this page was actually made to inform people about the canals that are no longer accessible to fishermen by way of boat. Their land is theirs and our water is ours. They can keep their land private. 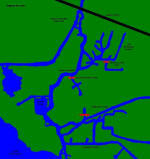 The complaint here is the denial of access to the water within these canals. This fence, located behind the old Westwego airport, courtesy of Marrero Land Co.
A no trespassing sign on the fence located behind the old Westwego Airport. 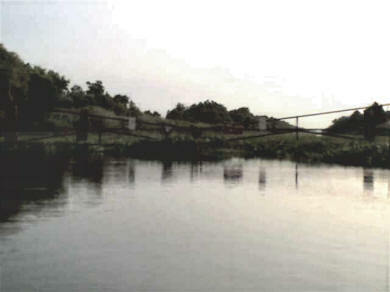 many valued areas due to landowners placing fences across canals. the canal, then they also own the water that is in the canal. the public access to these public waters. that may be used by the public. To view locations of gates Click map for lager image. Public things are owned by the state or its political subdivisions in their capacity as public persons. Public things that belong to the state are such as running waters, the waters and bottoms of natural navigable water bodies, the territorial sea, and the seashore. Public things that may belong to political subdivisions of the state are such as streets and public squares. * This is where the argument starts. Some canals were dug by oil companies, so they aren’t natural. BUT… They do tie into a natural navigable body of water. Art.452. Public things and common things subject to public use. Public things and common things are subject to public use in accordance with applicable laws and regulations. Everyone has the right to fish in the rivers, ports, roadsteads, and harbors, and the right to land on the seashore, to fish, to shelter himself, to moor ships, to dry nets, and the like, provided that he does not cause injury to the property of adjoining owners. The seashore within the limits of a municipality is subject to its police power, and the public use is governed by municipal ordinances and regulations. Art. 455. Private things subject to public use. Private things may be subject to public use in accordance with law or by dedication. Art. 456. Banks of navigable rivers or streams. 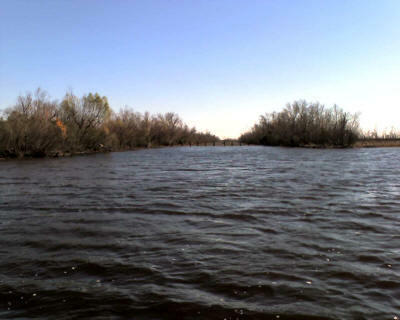 The banks of navigable rivers or streams are private things that are subject to public use. The bank of a navigable river or stream is the land lying between the ordinary low and the ordinary high stage of the water. Nevertheless, when there is a levee in proximity to the water, established according to law, the levee shall form the bank. Art. 458. Works obstructing the public use. navigable rivers, that obstruct the public use may be removed at the expense of the persons who built or own them at the instance of the public authorities, or of any person residing in the state. 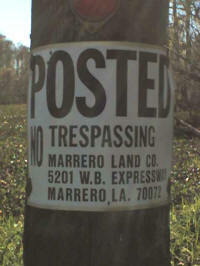 Another photo showing the fence put up by Marrero Land Co. behind the old Westwego Airport. 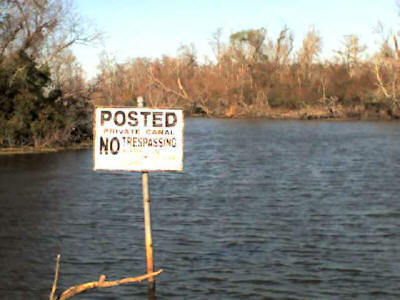 The 2 photos below show a sign put up by Marrero Land Co.
at the entrance to one of the canals near the old Westwego dump canals. The sign above is no longer there. 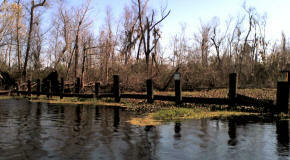 This fence just off Bayou Segnette approximately 3 miles south of Lapalco Blvd. 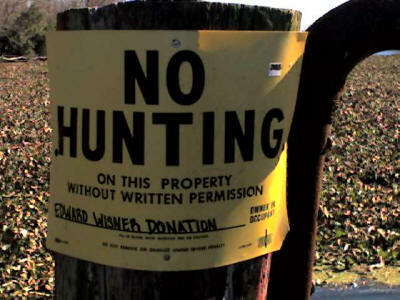 courtesy of the “Edward Wisner Donation.” Our rights to another good ole fishing hole taken away. A sign on the fence put up by Edward Wisner Donation. 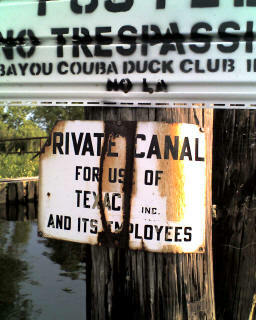 The wording at the bottom right reads “OWNER AND OCCUPANT” They may own the land, but not the water in this canal. Another photo of the “Edward Wisner Donation” fence. This gate courtesy of Texaco Inc. 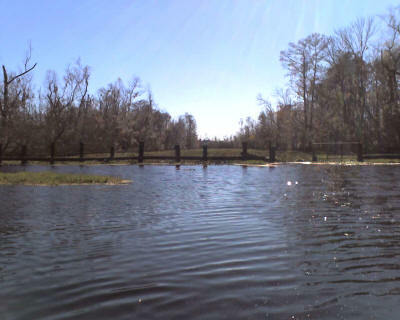 This gate is located in Umbrella canal just east of the Tank Pond. Another photo of the Texaco Inc. gate. 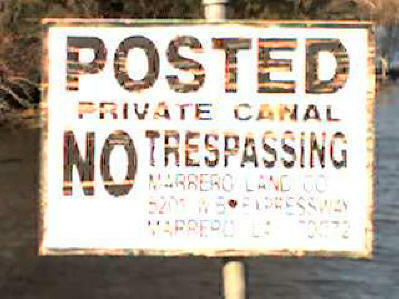 Thank you for contacting me with your concerns regarding public waterways becoming private. I appreciate hearing from you on this important issue. I agree with you that it is important to keep our canals navigable and open. 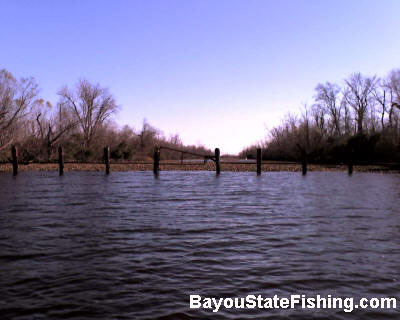 Having our waterways properly maintained and traversable is vital to strengthening and maintaining the important Louisiana industries of boating and fishing, and I have worked to keep certain canals open for public use. For example, I recently worked with the U.S. Corps of Engineers to transfer operations and maintenance of the West Pearl River Navigation Project to the state of Louisiana and Washington and St. Tammany parishes. Therefore, the proposed shutdown will be indefinitely postponed, and the citizens of Louisiana will be able to continue to use the Pearl River Canal . 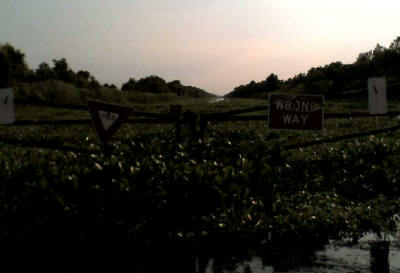 We are fortunate that the boat launches to the Pearl River Navigation Canal will remain open to the many citizens who enjoy boating and fishing. I believe it’s important that Louisiana families continue to have access to these local natural treasures that have been used for recreation for generations. As you know, we in Louisiana are extremely proud of our designation as the “Sportsman’s Paradise .” Rest assured I will continue to work to preserve these resources and will keep your thoughts in mind regarding all of our public waterways. Once again, thank you for sharing your thoughts with me on this issue. Please do not hesitate to contact me in the future with other issues important to you. Could La. wildlife and fisheries put a fence on the outside of the gate and fence to prevent wildlife and fish from going in and out of this so called private waterways.